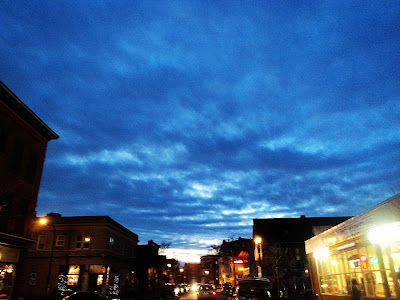 Dusk and dawn are my two favorite parts of the day; the first signs of the beginning of a new day or the end of the current one...and the light is incredible. The above photo (Big Sky) I took last evening. As I rounded the corner on my bike the scene before me--or more accurately, above me--quite literally stopped me in my tracks. 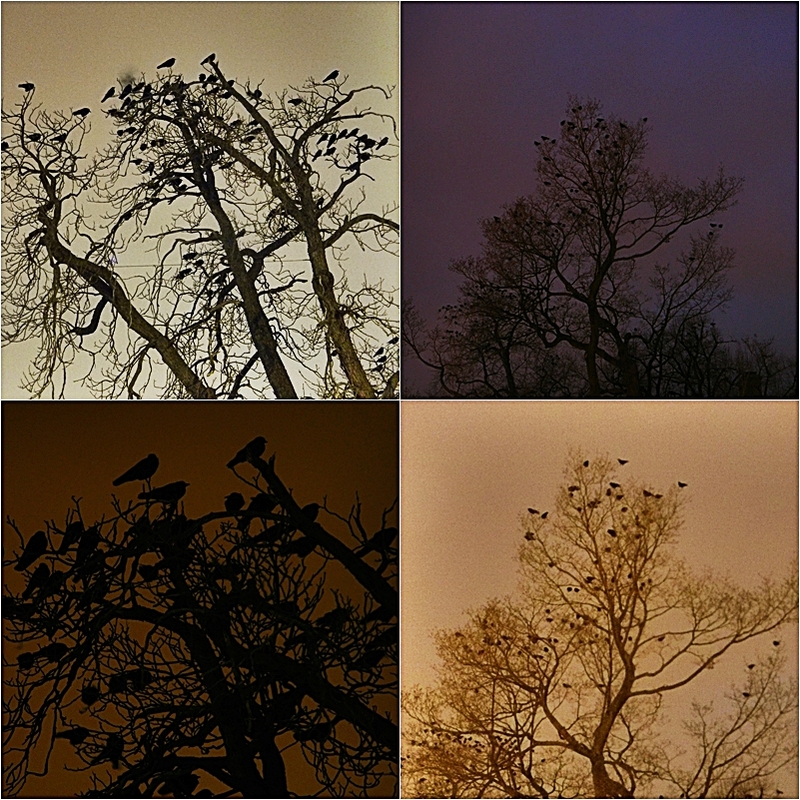 The series of four photos below (Birds in a Tree at Night) I took this evening as I left the health club. I was riding my Mundo so I could use the rear of it as a platform to stand my mini tripod on to steady the camera and experiment with different exposures. 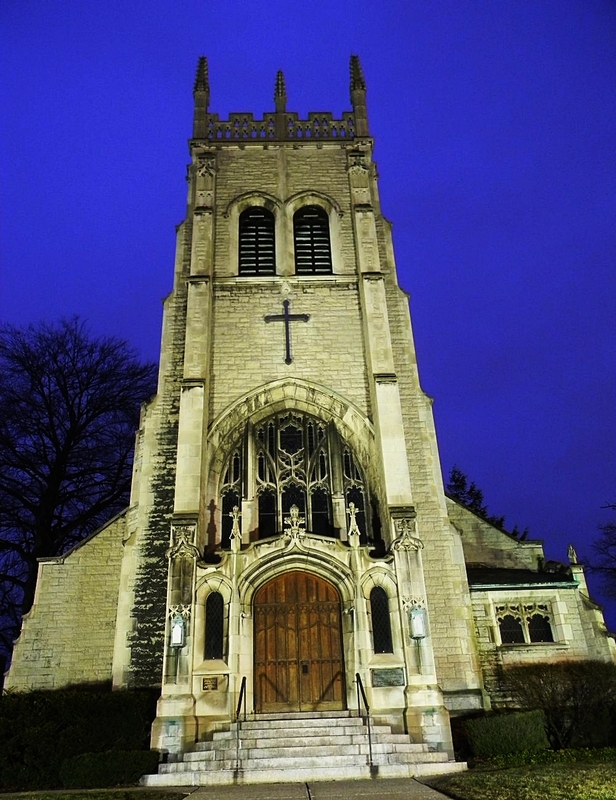 And the bottom photo (Greek Church) I took on my way to the health club while there was still some light in the sky. 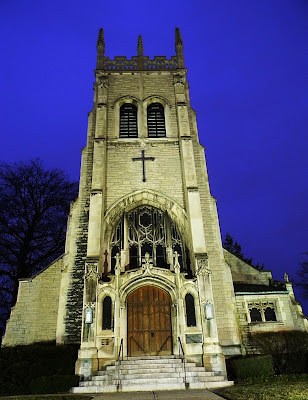 It's a church which I pass and often admire but tonight as I passed the light was just right so I had to capture it the best I could. It's slightly askew because the bike tilted a bit just before the shutter snapped. As usual, click any for a larger view.